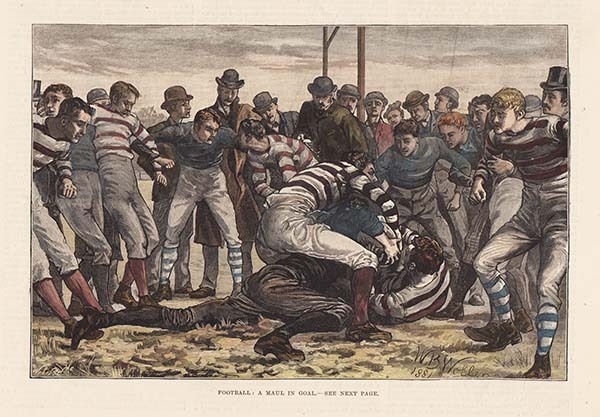 An antique woodcut engraving published in "The Illustrated London News" on 14th January 1882 with later hand colouring. An antique woodcut engraving which was published in "The Illustrated London News" on December 30th, 1845 with later hand colouring. 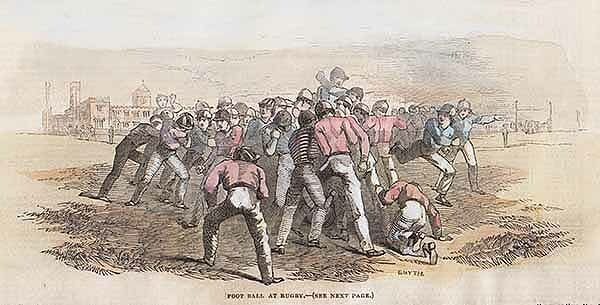 International Foot - ball Match at Edinburgh. An antique woodcut engraving which was published in "The Illustrated Newspaper" on April 22nd, 1871. It has been later coloured by hand. 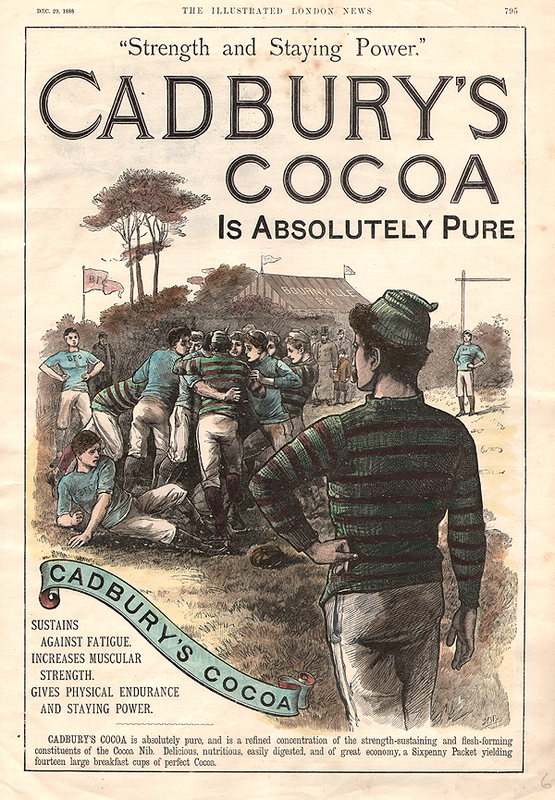 Rugby - Sir. T.G. Devitt. An antique woodcut engraving which was published in "The Graphic" newspaper on February 24th 1872. Later coloured by hand. An antique woodcut engraving which was published in "The Illustrated London News" on December 29th, 1888. Later coloured by hand. 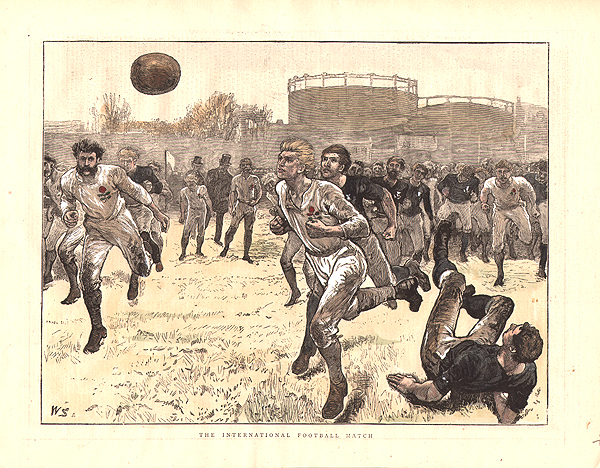 The scene depicted shows the home team to be 'Bournville F.C. London Welsh - v - Devonport Albion. Drawn at Richmond on Monday, 30th September, One Goal (Five Points) each. 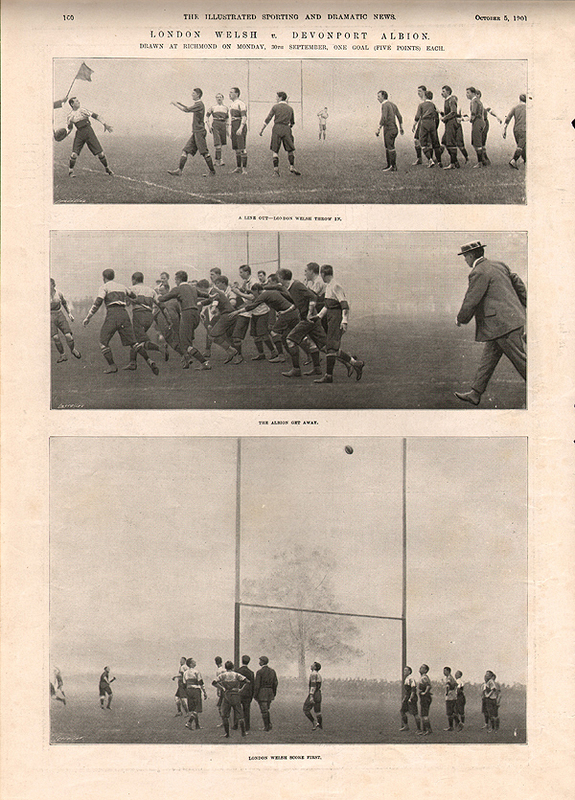 An account of the above game which appeared in "The Illustrated Sporting and Dramatic News" on October 5th, 1901.